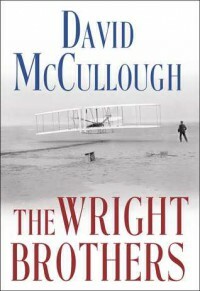 This is a concise and minutely researched biography of the Wright Brothers’ accomplishments. Although the account is well-known, Mr. McCullough has revitalized it with a wealth of details, large chunks of material and newspapers embellishments. With an artist’s touch the author has recreated the lives of the Wright brothers, their father, their sister Katharine and has told the extraordinary story of the two brothers who changed the world. This gripping account of Wilbur and Orville quest to fly is written with panache and is also an easy to read splendid non-technical introduction to the Wright family. It was clear that a great many people thought they were crackpots, and everybody love to make fun of them. Criticism pour like water on a duck and nothing could discourage them. Success to them was creating a flying machine and knowing how to fly it. This couple of bicycle mechanics and dreamers made this happen. Mr. McCullough’s book is about the unique role of Paris in shaping the destinies of creative Americans. The best part of this book involves the brothers extended stay at Kitty Hawk, a site selected for their experiments. This book shines in many aspects: it is filled with ample examples of the affectionate, encouraging, sometime scolding words that the siblings said or wrote to each other and the importance of family and the devotion shown to each other. 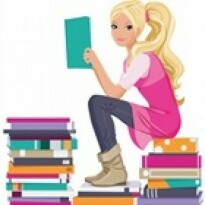 It highlights how hard work and intense intellectual curiosity can open doors. Wilbur and Orville lived this way and this book tells us how they did it. Although I found “The Wright Brothers” to be quite absorbing and very interesting I however felt it to be flat and lack coverage and depth. But in all a good book.